Flip a coin. 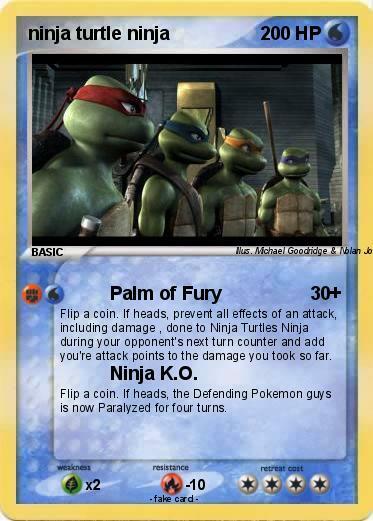 If heads, prevent all effects of an attack, including damage , done to Ninja Turtles Ninja during your opponent's next turn counter and add you're attack points to the damage you took so far. Attack 2 : Ninja K.O. Flip a coin. If heads, the Defending Pokemon guys is now Paralyzed for four turns.